When U.S. Reps. Ann Wagner and Lacy Clay testified before Congress to have the West Lake Landfill clean up turned over to the Army Corps of Engineers in 2016, the public had no clue that a scandal-tainted St. Louis County government agency had paid big bucks to former U.S. Sen.Kit Bond’s lobbying firm to do its bidding on Capitol Hill. GOP Rep. Ann Wagner pounding home her message in testimony before the congressional subcommittee, July 13, 2016. “It’s kind of different being on this side,” Clay said. Clay’s awkward small talk with his conservative counterpart ended when the chairman of the Environment Subcommittee of the House Energy and Commerce Committee gaveled the hearing into session at 10:03 a.m. By all accounts, what happened next in Room 2123 of the Rayburn House Office Building was a rare display of bipartisanship. Wagner and Clay — who represent polar ends of the American political spectrum — bonded together that summer morning to send a unified message. The odd couple appealed to their fellow representatives to send House Resolution 4100 to the floor for a vote. If passed, the bill would have mandated the transfer of control of the controversial West Lake Landfill Superfund site in Bridgeton, Mo. to the U.S. Army Corps of Engineers. Corresponding legislation had already been successfully steered through the Senate under the bipartisan guidance of Republican Sen. Roy Blunt and Democratic Sen. Claire McCaskill of Missouri. Under the lax management of the EPA, the cleanup of the radioactively contaminated site had languished for decades. Attempting to correct the agency’s negligence was the shared responsibility of both congressmen because the dividing line between their respective districts literally runs through the landfill. Angry residents in St. Louis County were demanding change and they made it clear that the Corps was their preferred choice to oversee the long-delayed remedy for addressing leftover nuclear waste from the Manhattan Project. The previous autumn, their protests had been amplified by local and national news coverage and the release of two documentaries on the subject. Public pressure continued over the intervening months, stoked by monthly community meetings and non-stop social media posts. By summer, the heated issue had reached critical mass. Local activists traveled to Washington, D.C. to show support for their representatives at the congressional hearing. Besides C-Span coverage, Wagner and Clay’s joint testimony blanketed the local St. Louis news. Unfortunately, despite the concerted effort the measure failed to clear the subcommittee. Similar legislation in the next session was also derailed. The back-to-back failures occurred even though the St. Louis Economic Development Partnership , a local governmental agency, had quietly bankrolled the well-financed federal lobbying campaign for two years. The details on how the grassroots, community-based movement morphed into a high-powered, Washington, D.C. lobbying project remain fuzzy. Calls and emails made to various private and public officials asking for comment have went unreturned. Since its inception, no one has been in a hurry to divulge the machinations surrounding the deal, which flew under the radar using public funds without the knowledge of the vast majority of St. Louis area citizens. Organizing the congressional lobbying drive involved considerable time, a bundle of cash and lots of inside wheeling and dealing. To handle a job of this scale, the Development Partnership hired Kit Bond Strategies (KBS), the lobbying firm of former U.S. Sen. Christopher “Kit” Bond of Missouri. In hindsight, the failure of KBS to accomplish its goal set the future course for the West Lake clean up, which is now in the hands of the Trump administration. The move to turnover the West Lake clean up to the Corps is now history. Last month, the final EPA remedy for a partial clean up of the site — a decision that falls short of full removal — was announced by the agency. If carried out as planned, large quantities of radioactive waste will remain on site and continue to be a threat to human health and the environment. The long-postponed announcement came after the nascent Trump administration fast tracked the West Lake clean up in early 2017 as part of a campaign by then-EPA Administrator Scott Pruitt to “streamline” the Superfund program. The task force created by Pruitt to accomplish that objective is now the subject of an EPA inspector’s general probe announced last month, which intends to examine the group’s secretive agenda. Pruitt and his top lieutenant Albert “Kell” Kelly both resigned earlier this year under a cloud. The controversial EPA administrator and former Oklahoma attorney general appointed Kelly, a Tulsa banker, in early 2017 to the newly formed post of EPA Superfund Czar. Kelly’s appointment came shortly after the FDIC had imposed a fine of $125,000 and barred him from banking for life. 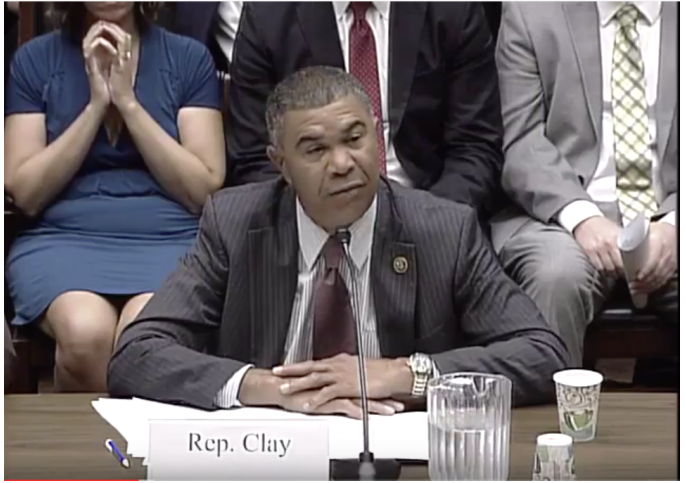 Lights, Camera, Action: Rep. Lacy Clay testifying before Congress, July 13, 2016. 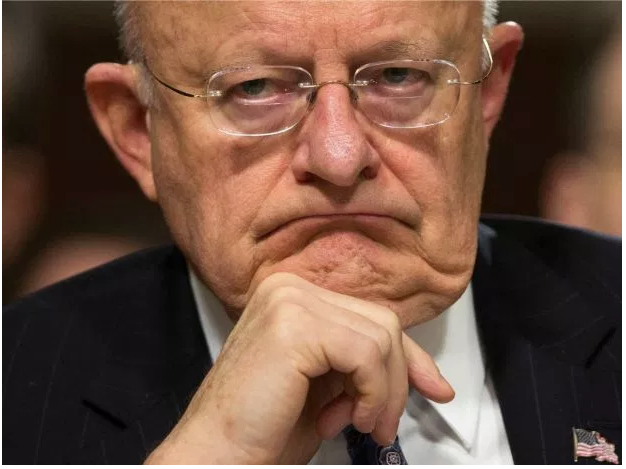 With the latest rush of developments, the earlier pleas by Wagner and Clay to transfer the project to the Corps have now been largely forgotten, relegated to a footnote, a curious moment in time when congressional adversaries from opposite sides of the aisle put aside political differences for the common good. For a moment in the summer of 2016, it looked as if a spontaneous consensus had arrived on the scene in the nick of time. 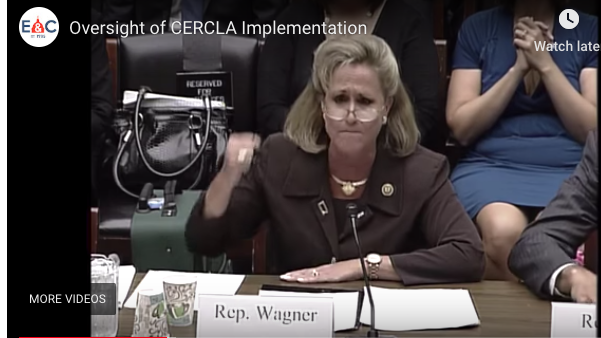 The St. Louis area congressmen gave heroic performances on camera — and the video went straight to YouTube, where Wagner can still be seen vehemently driving home her talking points by pounding on the table. Clay’s oratory was equally impassioned. Their words expressed sincere convictions and righteous outrage, echoing the pleas of their constituents. St. Louis Economic Development Partnership CEO Sheila Sweeney. It almost seemed too good to be true — and it was. In retrospect, Wagner and Clay now appear to have been reading from the same script of a made-for-TV movie. What the public didn’t know back then was that the director of this staged congressional performance was KBS. Linda Bond, the former senator’s wife, is a senior partner in the lobbying firm. 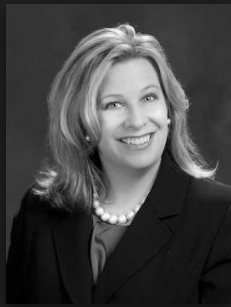 She signed the contract with St. Louis Economic Development Partnership CEO Sheila Sweeney in January 2016. 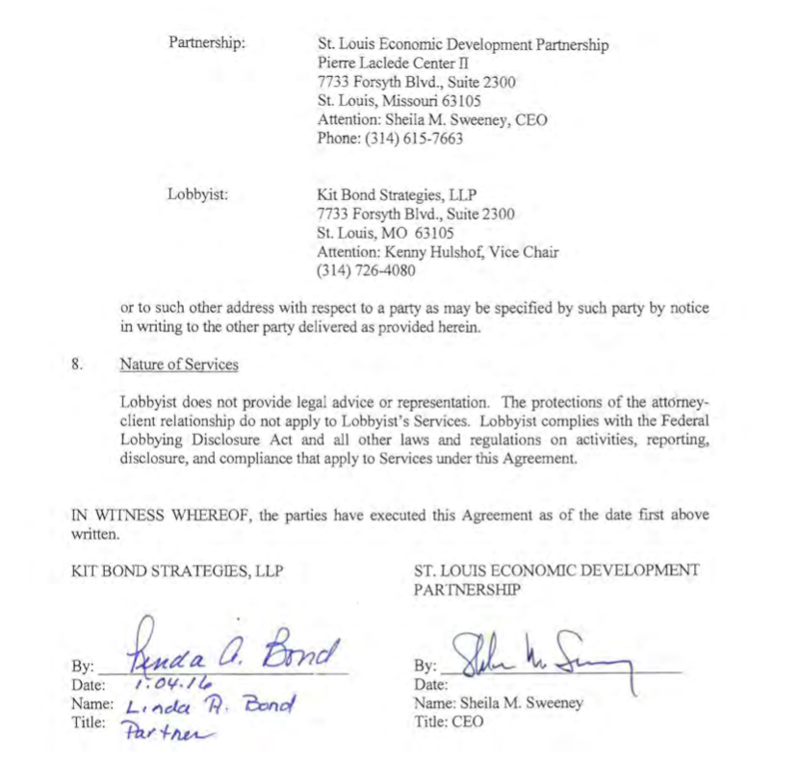 The Development Partnership is a joint government agency of the city of St. Louis and St. Louis County, which wields broad powers and operates largely in the shadows with the benefit of millions of dollars in annual payments from casino interests raked in by the St. Louis County Port Authority, an agency that shares the same staff as the Development Partnership. The County Port Authority’s purpose has nothing to do with ports. Instead, it acts as a conduit for the casino payments. The 2016 contract between KBS and the St. Louis Economic Development Partnership. In 2016 and 2017, the St. Louis Economic Development Partnership funneled $230,000 of public funds to Kit Bond Strategies, according to federal lobbying reports. Part of that total went to pay for the failed congressional effort to turn the West Lake Landfill Superfund Site over to the U.S. Army Corps of Engineers — an agency that expressed serious reservations about assuming the responsibility for taking control of the project in the first place. The exact amount spent specifically on the West Lake lobbying effort is uncertain. A request under the Missouri Sunshine Law for further details is pending. But this much is known: the development agency’s contract called for KBS to be paid $10,000 a month for its services. The lobbying records show that the public money was doled out to the lobbyist in quarterly payments. The St. Louis Economic Development Partnership paid the lobbying firm an additional $60,000 in 2018 , but by then the effort to persuade Congress to turn the West Lake clean up over to the Corps had been dropped. In July, a St. Louis County Council ethics committee announced it was embarking on an investigation of a wide range of questionable activities by the St. Louis Economic Development Partnership involving alleged improprieties related to the agency’s contract procedures and real estate transactions in recent years. Its lobbying contract with KBS is not known to be a part of that investigation. 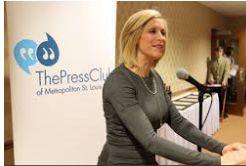 The announcement followed a series of revelations published in the St. Louis Post-Dispatch focusing on the dodgy dealings of the Development Partnership and the County Port Authority under the Democratic administration of St. Louis County Executive Steve Stenger [1, 2, 3]. Among the allegations are those involving unusual bidding practices by businessman John Rallo, a Stenger supporter and an heir to the Rallo Construction Co. fortune. Rallo has been the beneficiary of a lucrative real estate sale by the Development Partnership and he has also sought advise on two consulting deals from Development Partnership CEO Sweeney, a Stenger appointee, in advance of submitting his bids, according to the Post-Dispatch. 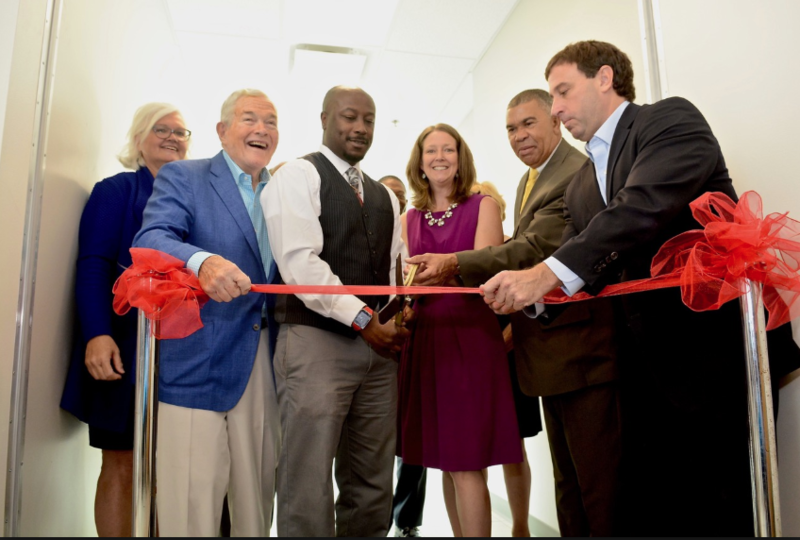 Sheila Sweeney, Kit Bond, Lacy Clay and Steve Stenger celebrating the opening of STL Partnership’s Wellston Business Center expansion in July. At the same time, political opponents of Stenger’s on the St. Louis County Council, have alleged that Sweeney is under federal surveillance. Councilman Ernie Trakas, a Republican from South County, and Councilman Sam Page, a North County Democrat, raised the allegations on July 24. The allegations were reported by Post-Dispatch reporter Jeremy Kohler in the newspaper and on Twitter. The protracted controversy has been roiling for more than a year. But until now, the ties between the Development Partnership and KBS have been unreported even though Sweeney’s signature is on the bottom line of the lobbying contract with that of KBS partner Linda Bond. The St. Louis Economic Development Partnership is an autonomous county agency that distributes public money for various economic development schemes with the help of casino revenue that it receives from the St. Louis County Port Authority. The port authority gets its funding from an estimated $5 million in payments paid by the River City Casino in South St. Louis County. Pinnacle Entertainment opened the casino in 2010. It is now operated by Penn National Gaming. The casino property is owned by Gaming and Leisure Properties Inc., a real estate investment trust that was spun off by Penn National, which controls a virtual monopoly on the overall operations and ownership of the St. Louis area gambling industry. The South County gambling site, which is located in unincorporated Lemay, is no stranger to controversy. Development of a casino at the location met stiff resistance from local businesses, churches, and residents in the past. Despite the widespread opposition, the St. Louis County Economic Development Council began wooing prospective casino developers there more than 20 years ago. Those initial efforts under the late St. Louis County Executive Buzz Westfall in the 1990s failed. But they set the precedent for current practices. Dec. 25, 1995 St. Louis Post-Dispatch story citing then-St. Louis County Port Authority Chairman Sheila Sweeney. As early as 1995, the St. Louis County Port Authority accepted payments from an earlier casino developer interested in developing the site. 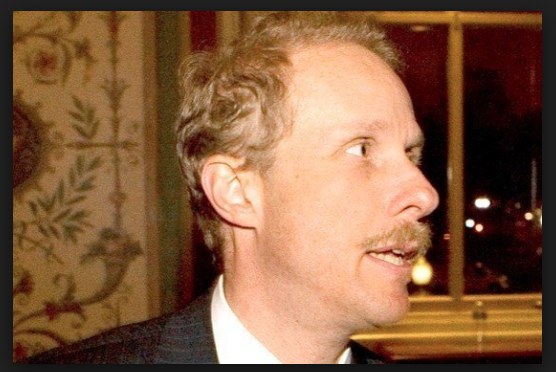 The chairman of the Port Authority at that time was Sweeney, who in 2018 is still pulling strings as head of the St. Louis Economic Development Partnership, the umbrella agency that controls the purse strings of the County Port Authority funds. 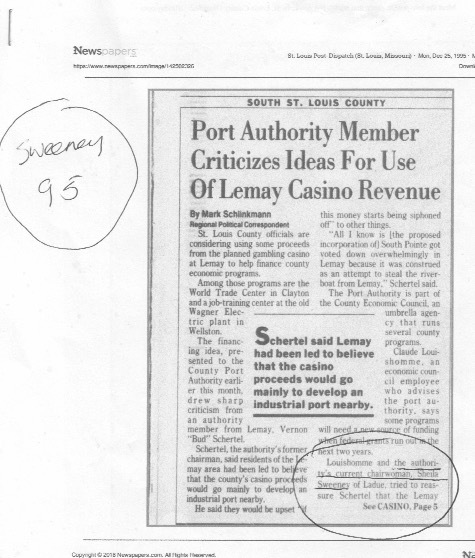 In 1995, Sweeney was already advocating spending payouts from gambling interests to support the development of other sites in St. Louis County. 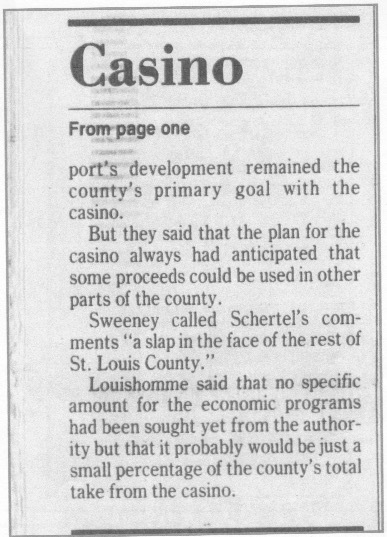 Dec. 25, 1995 St. Louis Post-Dispatch story reports then-County Port Authority Chairman Sheila’s Sweeney’s strident support of spending casino cash for development schemes throughout St. Louis County. Others involved in past issues tied to South County politics and the Lemay casino site include former South County Councilman Jeff Wagener, a Democrat who is now policy chief for St. Louis County Executive Stenger; and Wagener’s former assistant Julie Murphy Finn, the Kit Bond Strategies’ lobbyist who oversaw the congressional lobbying effort on behalf of the St. Louis Economic Development Partnership in 2016. Wagener also sits on the board of directors of the St. Louis Economic Development Partnership. Murphy Finn was aided in her congressional lobbying assignment by fellow KBS lobbyist Kenny Hulshof, a former Republican congressman and gubernatorial candidate from Northeast Missouri. But Hulshof and Murphy Finn were not the bosses of the operation. 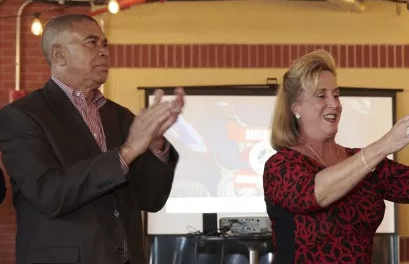 That distinction goes to KBS senior partner Linda Bond, who signed the sweetheart deal with Sweeney, the head of the St. Louis Economic Development Partnership. Both women are savvy political operatives. 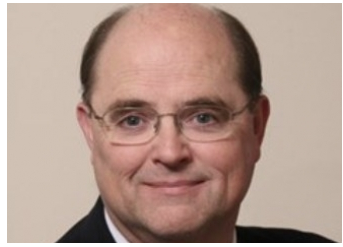 Sweeney has been an inside player in St. Louis County politics for decades under multiple county administrations; whereas, Bond’s career in national politics stretches back to the Reagan era and is rooted deeply in Cold War politics. Long before she married the senator, Bond worked for the Voice of America, the propaganda arm of the U.S. State Department. From 1985 to 1991 she served as the director in Germany of the International Rescue Committee (IRC), a non-governmental agency with long-established ties to the Central Intelligence Agency. The late William Casey, the former OSS agent and CIA director during the first term of President Ronald Reagan’s administration, served a stint as the president of the IRC, which aided Eastern Bloc and Soviet defectors. In this case, however, there appears to have been no need for cloak and dagger skullduggery. Instead, the deal between Kit Bond Strategies and the St. Louis Economic Development Partnership was as easy as walking next door and borrowing a cup of sugar. KBS and the St. Louis Economic Development Partnership are neighbors in the Pierre Laclede Center II, a high-rise office tower at 7733 Forsyth Blvd. in Clayton. The development agency calls Suite 2200 home, and KBS lists its address as Suite 2300. In the end, the motive behind the 2016 lobbying deal seems to have been predicated not on bi-partisan cooperation and concern for the environment as much as it was realpolitik, and cold hard cash. The Office of the Missouri Attorney General finally settled with Republic Services for $16 million on behalf of the Department of Natural Resources for the trash company’s egregious environmental violations at the smoldering Bridgeton Landfill. But the majority of that money will be put into the hands of a non-government foundation that caters to the rich. What gives? 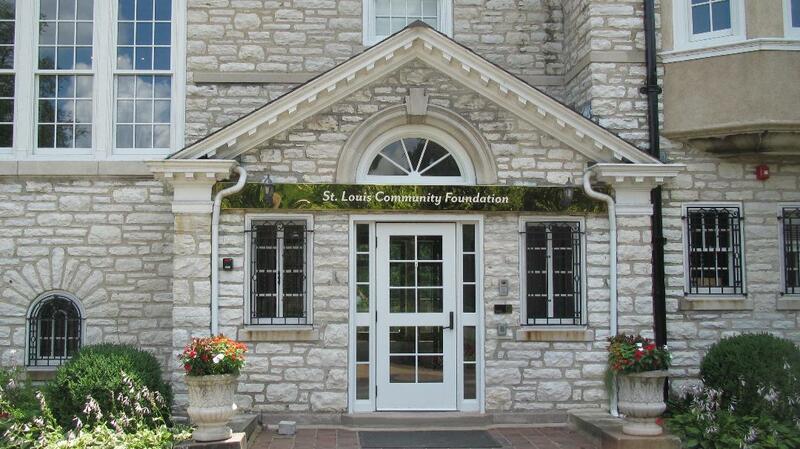 The St. Louis Community Foundation, #2 Oak Knoll Park, Clayton, Mo. Amelia A.J. Bond, President and CEO of the St. Louis Community Foundation. Sometime in the next month, Bridgeton Landfill LLC will deposit $12.5 million into the coffers of the St. Louis Community Foundation, a tax-exempt non-profit, charitable organization. The landfill, which is a subsidiary of Republic Services Inc., did not make the contribution out of kindness, but as part a court-ordered consent judgment signed by St. Louis County Circuit Court Judge Michael T. Jamison on June 29. The agreement, part of a $16 million settlement, closes the book for now on five years of litigation conducted mainly behind closed doors between the state of Missouri and the trash company, which owns both the smoldering Bridgeton Landfill and adjacent West Lake Lake Landfill that is contaminated with radioactive waste. A final plan for the clean up of the site by the EPA is still pending. asserting violations of the law by the landfill that caused harm to the environment and human health. 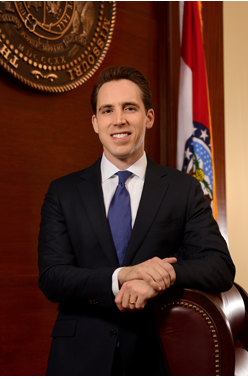 The case continued after current Missouri Attorney General Josh Hawley took office last year. The pact requires Republic to reimburse MDNR for $2 million in staff time, pay a civil penalty of $1 million and $500,000 for damages to the state’s natural resources. The corporation is also required to monitor air and groundwater under state supervision contingent upon obtaining $26 million in bond funding or face paying the state hundreds of millions of dollars. But three-quarters of the settlement will be put into money market accounts exclusively handled by the St. Louis charity — which was not a party to the suit and does not have a depth of experience in environmental protection issues. The agreement to earmark $12.5 million of the state of Missouri’s settlement to the private St. Louis Community Foundation was signed by Republic Services’ lawyer John B. Nickerson and the St. Louis Community Foundation President and CEO Amelia A. J. Bond. The foundation will control the money through an entity of its own called the Bridgeton Community Fund. When initially asked by email about the agreement, a spokesperson for the Attorney General responded by sending a link to the original press release, which does not explain the decision to award the money to the private, tax-exempt institution. Further calls and emails requesting an explanation from the Office of the Missouri Attorney General did not elicit any answers. Controlling the message is an obvious imperative for both the private foundation and the state government. The foundation in this case deferred to the state, recommending that all questions be directed to Mary Compton, the spokeswoman for the Office of the Missouri Attorney General — who already had declined to respond to repeated inquiries. The agreement, which is good for the next four years, allows any non-profit corporation in the area to apply for a grant, but those that target their efforts within the four-mile radius of the landfill site will receive the priority. The deal between Republic Services and the foundation, which is part of the larger consent judgment, sets up the Bridgeton Community Fund and puts the private foundation in control of $12.5 million in public funds. Moreover, the directors of the foundation have absolute power to change how the money is used in the future and who gets it. 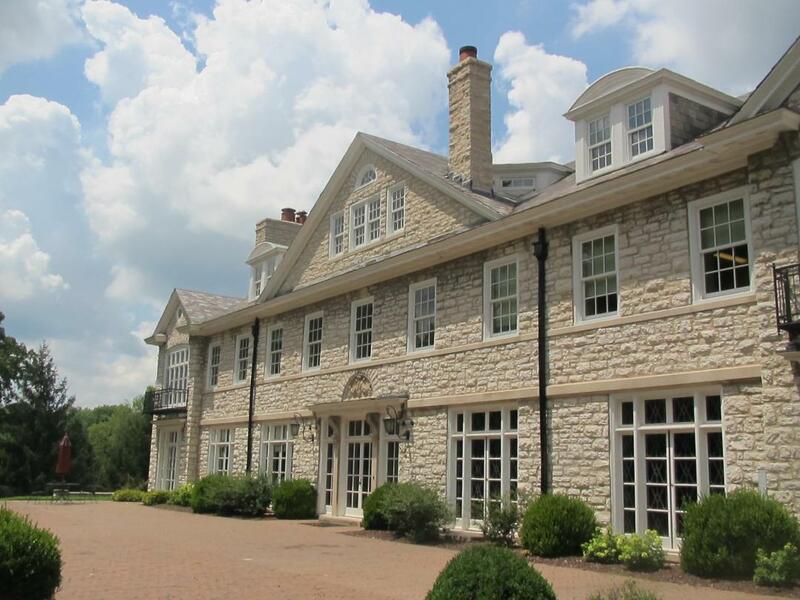 The foundation’s offices are located in a stone mansion on the grounds of the city of Clayton’s Oak Knoll Park at Big Big Bend Boulevard and Clayton Road. In 2015, the St. Louis Community Foundation Inc. claimed assets or fund balances of more than $207 million, according to its IRS non-profit tax statement. Bond, a former Wells Fargo investment banker and the president and CEO of the foundation, was paid more than $263, 000 in annual salary, and more than $17,000 in expenses, according to the IRS. 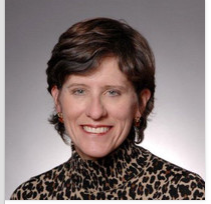 Previously, she headed the public finance division of Wachovia Securities in St. Louis for two years in the late 2000s following its merger with A.G. Edwards. Wells Fargo bought out Wachovia during this period of financial instability. 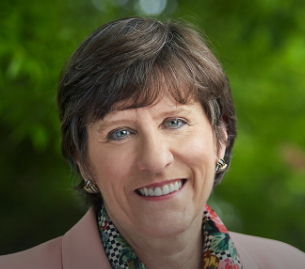 Earlier in her career, she sat on the board of the Municipal Securities Rulemaking Board. In short, Bond is an expert in municipal bonds. The settlement agreement hashed out by the state and Republic Services requires that its subsidiary, Bridgeton Landfill LLC, secure $26 million in bond funding to maintain, monitor and mitigate air and groundwater quality in the area around the troubled landfill in North St. Louis County. Wells Fargo, the foundation head’s former employer, is one of the banks that provided Republic Services a five-year $1.2 billion loan in 2014 under the stipulation that the trash company was free from any environmental violations that would harm the company’s bottom line. The suit by the state of Missouri claiming environmental damages by Republic was filed a year earlier in 2013. To secure that loan Republic had to indemnify itself through a subsidiary located in the Cayman Islands. Pastures of Plenty: The back door of the St. Louis Community Foundation in Oak Knoll Park. One previous director of the well-heeled charity is former Republican U.S. Sen. Christopher “Kit” Bond, the uncle of Amelia Bond’s husband, Arthur Doerr Bond III, the son of the senator’s late brother. Besides the newly created Bridgeton Community Fund, the St. Louis Community Foundation runs two other non-profit outfits, the Greater Saint Louis Real Estate Foundation and the Alberici Foundation. 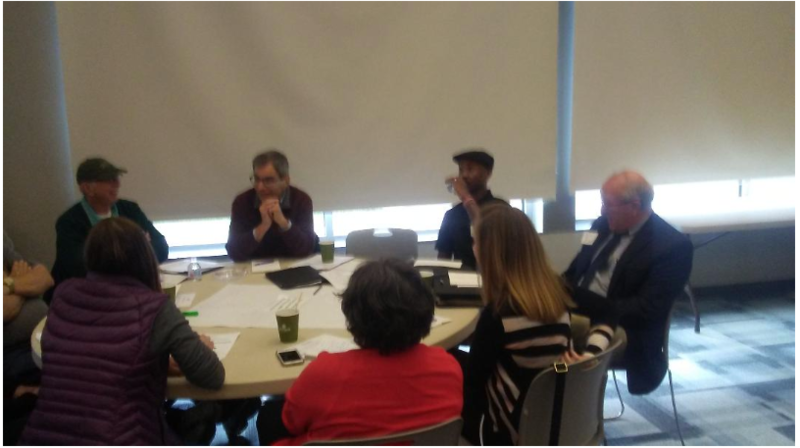 The favorite means of donating to the St. Louis Community Foundation is through what is called “donor advised funding.” In this method of tax write-offs, anonymous donors target the non-profit institutions of their choice. Donors who use this way of making contributions support a wide array of worthy causes, including St. Louis Public Radio, the St. Louis Public Schools Foundation, Channel 9, the Special School District, Operation Food Search, the Salvation Army, Planned Parenthood, and the St. Louis Zoo and Art Museum. But many other contributions are made to wealthy private institutions and religiously-affiliated organizations, some of which are located hundreds of miles away from St. Louis. Recipients in this category included Washington University and John Burroughs School, which both bagged more than a $1 million in recent years, according to the foundation’s tax returns. An even more generous donation of $2 million was made anonymously through the foundation to the Journey Fellowship, a fundamentalist Christian church. 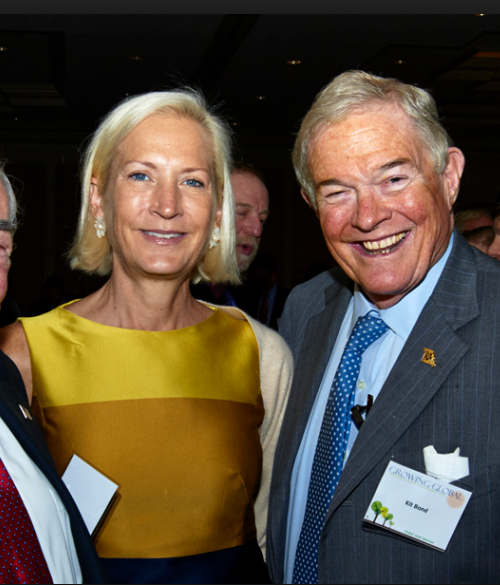 The out-of-town donations to the foundation were funneled to non-profit organizations such as the exclusive Cushing Academy in Ashburnham, Mass., which charges more than $60,000 a year for tuition and boarding. Other distant recipients of the foundation’s generosity include: the Bank Street College of Education in New York City; the Regent Preparatory School of Oklahoma; The National Jewish Center for Learning and Leadership, New York City; the Miami Conservatory of Music, Miami, Fl. ; and the Zion Lutheran Church of Dallas Texas. At the top of its tax return the foundation summarizes its mission and most significant activities as being the administration of “charitable funds for the betterment of St. Louis.” But apparently there are frequent exceptions to that rule. Analyzing the arcane aspects of the federal tax code and how it applies in this case without the aid of a battery of tax lawyers and CPAs is nigh impossible; and lacking any explanation from the foundation itself leaves more questions than answers. 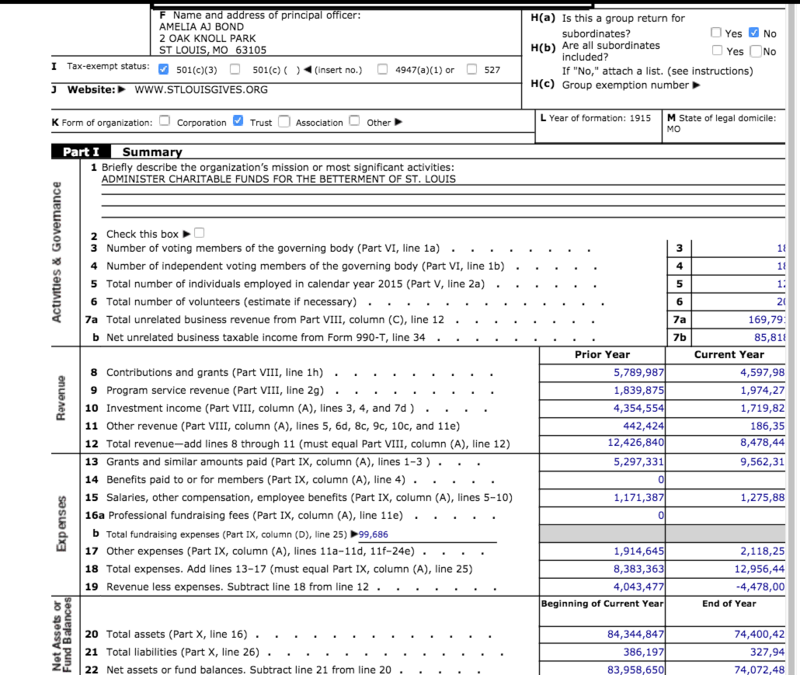 There are, for example, two non-profit tax returns filed by the foundation in 2015, which cover the same time period. One is in the name of the aforementioned St. Louis Community Foundation Inc., the non-profit corporation, listing claimed assets or fund balances in excess of $207 million. 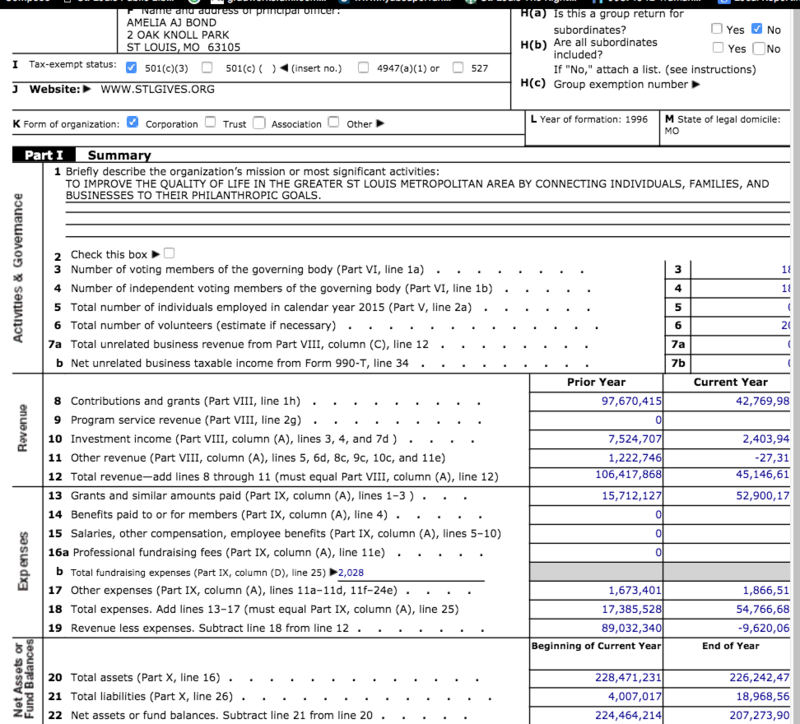 The second entity that filed a return the same year is identified simply as the St. Louis Community Foundation — without the “Inc.” The latter charity is organized under state law as a Missouri Trust. It lists a little more then $72 million in claimed assets and funds balances. The bottom line is this: Since the St. Louis Community Foundation has agreed to be the fiduciary of $12.5 million won in a settlement by Missouri Attorney General Josh Hawley it may be prudent for his counterpart — Missouri State Auditor Nicole Galloway — to examine the foundation’s ledgers. Retired trucker Kenneth Kerpash says he witnessed two trucks buried at the West Lake Landfill in the early 1980s. In March, he went public for the first time, repeating his claims to KSDK-TV. But there hasn’t been a follow up — and due to a technical glitch the original broadcast is no longer available. In March, Kenneth Kerpash accompanied his daughter to an EPA meeting in Bridgeton. 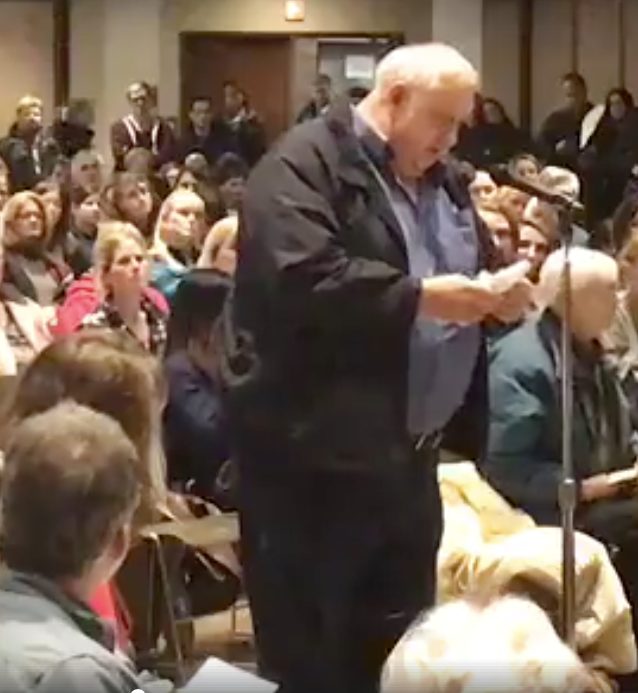 They felt it was important that they voice their support for a timely and thorough clean up of the nearby West Lake Landfill Superfund Site, which remains contaminated with nuclear weapons waste due to decades of neglect by the agency. Kerpash’s interest in the issue is personal. The 65-year-old retired truck driver from Troy, Mo. worked for the West Lake Quarry and Materials Co. for 14 years. His wife now has stage four ovarian cancer. He believes that her illness may be the result of him bringing home radioactive contamination on his work clothes. Kerpash carries another burden: He witnessed an incident at the quarry that he kept secret for 30 years. Kerpash worked for the company from 1971 to 1984. Mallinckrodt Chemical Works created the waste while processing uranium for the Manhattan Project during World War II. In 1973, a local construction company dumped some of the Mallinckrodt mess at West Lake on St. Charles Rock Road — where it has remained ever since. After Kerpash made his public comments to the EPA officials that evening, a TV news crew from KSDK-TV followed him to the corridor of the Machinists Union Hall to do a spot interview. 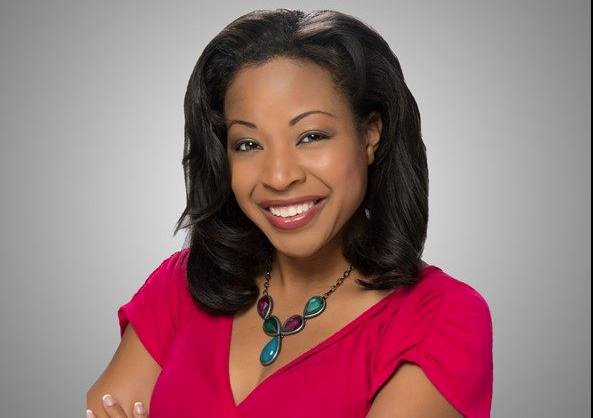 Reporter Christina Coleman, a relative newcomer to St. Louis, didn’t recognize Kerpash. In 2013, KSDK had aired an expose featuring Kerpash, who then appeared in silhouette to shield his identity. In the report, he anonymously alleged witnessing two trucks being buried at the landfill in the early 1980s. His claim is significant because the EPA has never conducted a grid test of the entire site since assuming authority over it in 1990. When asked in March, Kerpash repeated the same story with the camera rolling. This time, however, he was no longer just an anonymous source. He had come out of the shadows and attached his name and face to his account. But the latest version of his account never aired, and Channel 5 hasn’t contacted Kerpash since then. It’s been more than three months and Kerpash hasn’t heard back from either Channel 5 or the St. Louis Post-Dispatch reporter, who also interviewed him the same night. 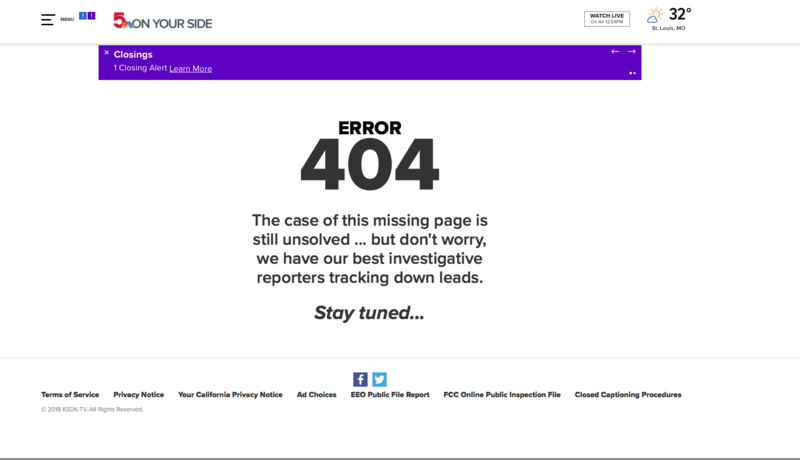 Former 5 reporter Lisa Zigman broke the story in 2013. Kerpash is a private person. Public speaking is not his forte. He has never sought the limelight. It has been a struggle for him to come forward and reveal what he knows. Since speaking to the media earlier this year, his wife has been in and out of the hospital, and he sometimes wonders why he went public. But even now as he copes with emotional and financial upheaval that has torn his life apart, he still feels a responsibility to provide full disclosure about what he viewed on the job so many years ago. His memories of the incident remain vivid. “It was in 81 or 82,” says Kerpash. “They was S series International single-axle tractors blue in color with white, tandem axle trailers. They was pulled down in a slot, in a ditch, on the construction fill and they was covered up right at dark. I’m just about positive that was in the fall of the year like September or October. “[I] Don’t have any idea who was driving the trucks. I seen the guys get out of the trucks. They was in white overalls. They went and got in a dark-colored Mercury or Lincoln closed the door and went out the front gate. Thousands of KATY Trail users pass by the abandoned Hamburg Quarry without being aware of it. A former quarryman believes what they don’t know about the site and its checkered history should concern them. The abandoned Hamburg Quarry next to the KATY Trail State Park in St. Charles County. Cyclists whizzing by the abandoned Hamburg Quarry on the KATY Trail in St. Charles County rarely slow down to take a gander at its sheer limestone walls or the placid waters below. Most aren’t even aware the historic excavation site is within a stone’s throw of the popular bicycle path. That’s largely because the Missouri Department of Natural Resources, the KATY’s caretaker, doesn’t advertise the site. The Missouri Conservation Commission — the current owner — also doesn’t promote the scenic spot. The University of Missouri, which once counted the property as an asset, isn’t inclined to acknowledge its past connections to the location, either. The Department of Energy and U.S. Army Corps of Engineers, whose jurisdictions touch on the quarry, seem to have forgotten about the place, too. It is as if the history of the abandoned quarry sank to the bottom of the submerged pit along with the state and federal government’s institutional memory. But quarryman Kenneth Kerpash hasn’t forgotten the place. Hamburg Quarry is where he remembers seeing thousands of rusty, leaky barrels stored back in 1972. He also recalls being told in so many words to look the other way. The scene is permanently chiseled in his mind’s eye. The 65-year-old retired Teamster truck driver from Troy, Mo. has carried the weight of that memory ever since. For a long time, he didn’t talk about it, worried his knowledge might jeopardize his job. He stopped working for the quarry operator in 1984, and his unease ebbed. But in In February, the trucker’s concerns reemerged. After decades of indecision, the EPA finally announced its proposed remedy for the the radioactively-contaminated West Lake Quarry and Landfill in North St. Louis County. Since taking over the site in 1990, the agency has neglected to clean up nuclear waste from the Manhattan Project that was illegally dumped in 1973. For Kerpash, the West Lake and Hamburg sites are linked for one simple reason: both were operated by the same company — West Lake Quarry and Materials Co. — his former employer. He drove a heavy truck for the company at both quarries from 1971 to 1984. Kerpash doesn’t claim to know what the barrels at Hamburg Quarry contained. But based on what he does know about the nearby Superfund site that bears his former employer’s name — he suspects the worst. Though the two sites share a common history, there is one stark difference. While knowledge of the troubled West Lake Superfund site has garnered media attention in recent years, the Hamburg Quarry has largely been forgotten. In hindsight, Kerpash believes his exposure to hazardous materials at Hamburg and West Lake Quarry may be the cause of his family’s chronic health problems. He has no way of knowing for sure, but he now suspects he may have brought the contamination home with him on his soiled work clothes. “… My wife and my daughter … washed my clothes. You never give it a thought. But you never know what you carried in,” he says. 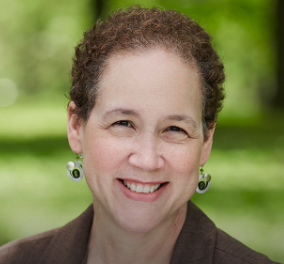 “My wife [now] has stage four ovarian and paraovarian cancer. My daughter has had cancer twice. I’ve had tumors taken out of my back and large colon. Kerspash’s account raises the question whether radioactively-contaminated waste may also have been quietly disposed of at the West Lake Quarry and Materials Co.’s Hamburg Quarry operation — which the company leased from the University of Missouri. Mallinckrodt Chemical Works’ former Weldon Spring uranium processing facility is 1.5 miles north of Hamburg Quarry. From 1957 to 1966, Mallinckrodt processed uranium there under contract with the Atomic Energy Commission. Waste from the operation was stored on site or dumped at nearby Weldon Spring Quarry. Mallinckrodt’s St. Louis plant also dumped radioactive debris from its St. Louis facility at the Weldon Spring Quarry. 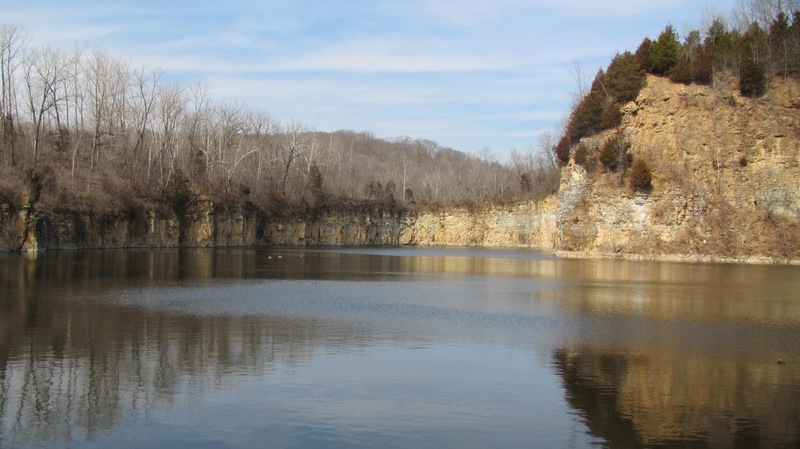 The Hamburg Quarry is identified only as a “restricted area” by the Missouri Conservation Commission. The Department of Energy ultimately funded a 16-year clean up of the Weldon Spring Quarry along with Mallinckrodt’s Weldon Spring uranium-processing plant, which was completed in 2002 at a cost that soared to nearly $1 billion. The waste from both locations is now stored at the former plant site in an in a giant “containment cell,” which now is one of the highest elevations n St. Charles County. 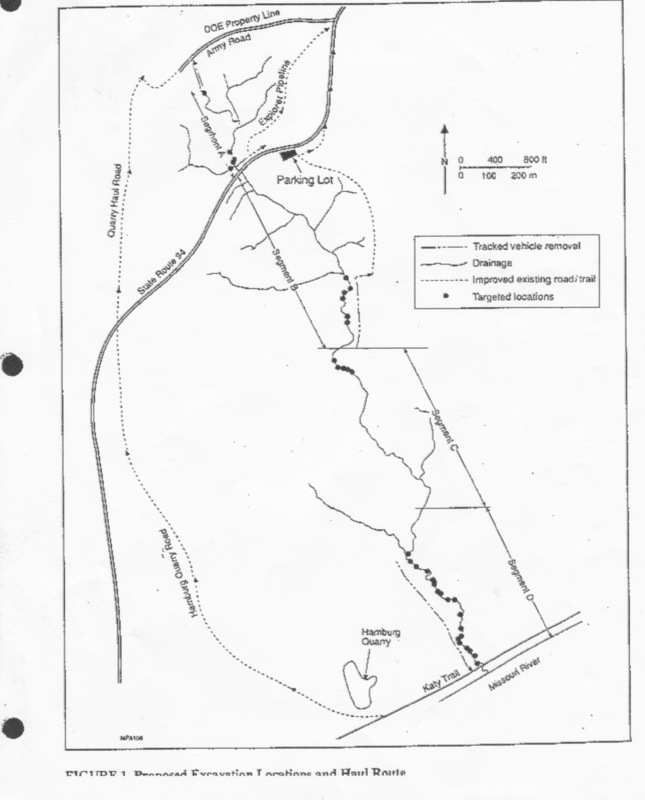 A 1996 DOE map shows the locations of radioactive contamination near Hamburg Quarry next to the KATY Trail. In 1996, the DOE published a cost-benefit analysis related to the removal of radioactively- contaminated soil that had migrated from the uranium plant’s perimeter, flowing downhill. The study includes a map that pinpoints hot spots on a creek that drains into the Missouri River near Hamburg Quarry (see inset). Another part of the DOE’s clean up involved treating the radioactively-contaminated effluents at the uranium plant and discharging the waste via a pipeline into the Missouri River. That pipeline’s terminus is located directly across the KATY Trail from the Hamburg Quarry. Kerpash’s wariness seems reasonable when juxtaposed with his former employer’s dodgy history and the context of the situation. The most striking and obvious detail is that the Hamburg Quarry is hemmed in on three sides by documented radioactive waste sites. Then there’s the fact that company that operated the quarry is a known polluter. 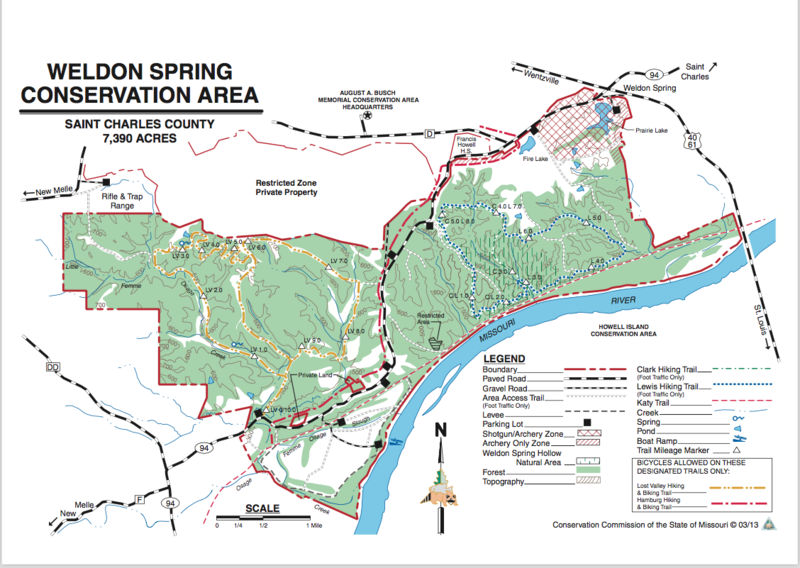 In addition, the Missouri Conservation Commission map of the area designates it as a restricted area. For more than 70 years, nobody has lived within miles of the place, but there are plans in the works to develop a subdivision on nearby property owned by the University of Missouri. There is a good reason why more than 17,000 acres of prime real estate within 30 miles of St. Louis has remained undeveloped and mostly uninhabited: It’s against the law to live here. Under DOE guidelines, recreational use of the area falls within accepted exposure limits, but full-time habitation is prohibited. Potential drinking water contamination has also long been a contested issue due to the proximity of St. Charles County’s well fields. Monitoring wells dot the landscape, and there continues to be periodic government testing of the groundwater. Core samples of the limestone at Hamburg Quarry taken decades ago by the DOE did not raise regulatory eyebrows, but that doesn’t necessarily give it a clean bill of health. Available online data about the Hamburg Quarry is limited. What’s at the bottom of the quarry lake is anybody’s guess. If the thousands of rusty barrels that Kerpash says he observed there were later removed, there is no record of where they were taken. When Kerpash spoke at an EPA meeting held in February, he was interviewed by members of the media afterward. But months later, he feels abandoned. His message was largely ignored. Kerpash wants answers. But his allegation only raises questions for regulatory authorities that never have seemed too keen on resurrecting the past. Turning a blind eye to the region’s longstanding radioactive waste crisis is nothing new. Mass denial has enveloped the issue from the beginning, spurred by official waffling and the ambivalent attitudes of government, business, and the news media — which accepts government press releases as more reliable than eye-witness accounts. In this case, however, there is no official version. Kerpash stands alone. 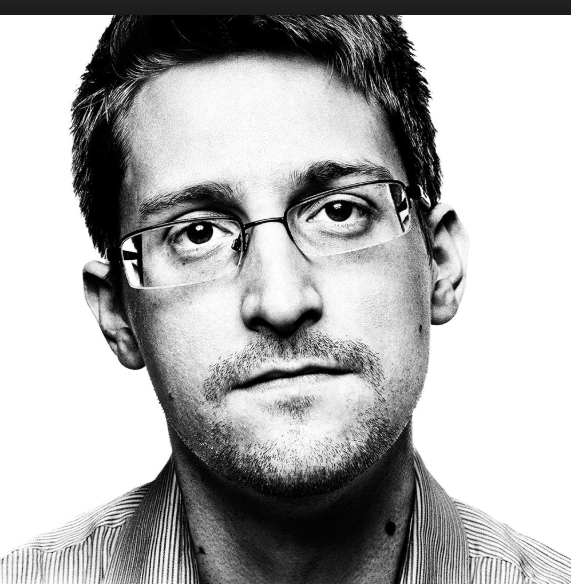 Despite the lack of government confirmation of his account, he has not wavered.